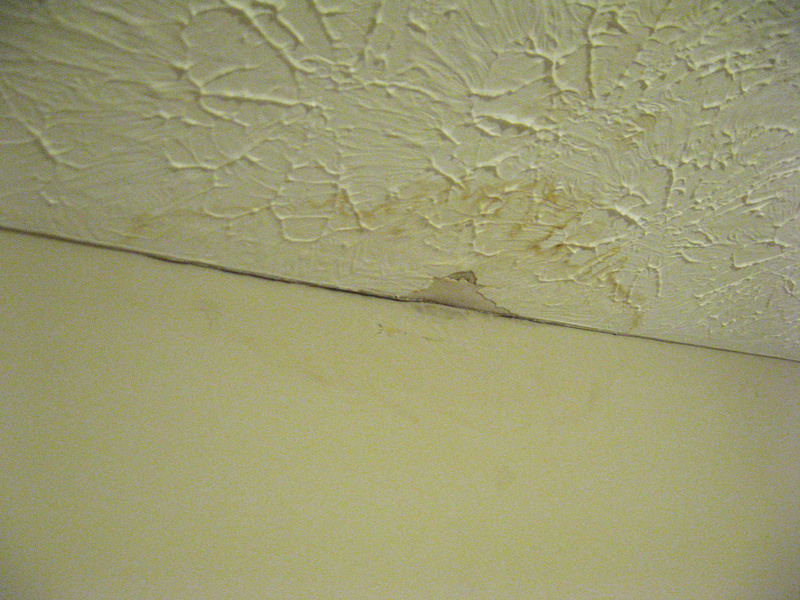 First, we will discuss a big culprit of roof leak common causes, leaks in the bathroom or kitchen. This type of leak tends to come from one place in particular, your PVC plumbing pipes that protrude through your attic and roof. A rubber flange, with a hole for the pipe to fit through, is secured around the PVC pipe to prevent water from entering around it. Water can enter the inside of the pipe, without any water entry issues. However, if the water enters on the outside of the pipe, due to breaks and cracks in the rubber, it can and usually does cause a significant leak in a home’s kitchen or bathroom. These leaks are due to the fact that most of your plumbing pipes route to these areas. 1. 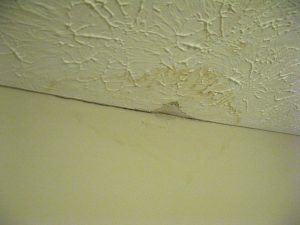 These ugly stains on your interior ceiling are commonly due to roof leaks. 2. 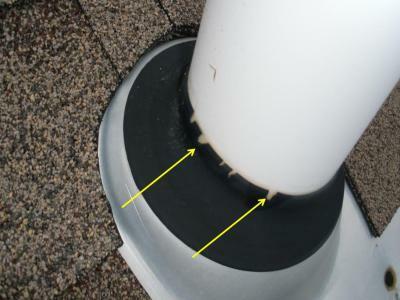 A deteriorated pipe flashing collar is one of the most common roof leaks. 3. After repairing the collar of the pipe jack, we also secure and seal the flange and the nails fastening it. 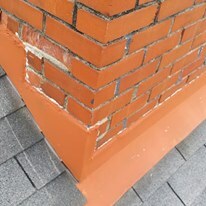 The second roof leak common cause we will discuss is leaks around chimneys and flashing walls. This type of leak tends to show up during heavy rains. You may see water leaking down your drywall on the outside of the chimney, or dripping on the inside. You may see drywall damage and stains where your garage meets the house, the foyer entrance of your house, or along the walls of dormers on the front of the house. How do you know these things, you might ask? It’s because these intersections on the roof, tend to be where a vertical structure (like a wall or a chimney) require an adequate flashing system to prevent water from leaking into the roof. 75% of the time, the fix is simple… maintenance your roof after it’s initial 8 to 10 years. 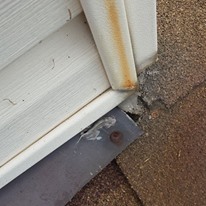 Caulking dries up and peels off, aluminum flashing gets bent from wind and flying debris, and fasteners (nails & screws) become dislodged due to temperature change and exposure to the elements. However, their are times where the initial installation of the wall flashing system is entirely improper, and prolonged or extensive damaged may be affecting structural items on the roof, like the wood decking it is secured to. In those cases, the flashing system needs to be removed and reinstalled with all the proper components. 1. The flashing walls are a common area of the roof that cause roof leaks. 2. 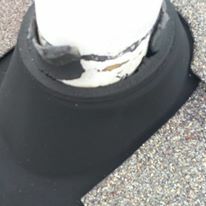 Often roof leaks are due to deficiencies in the chimney flashing. 3. 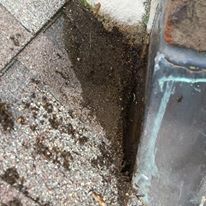 Failure to build a chimney cricket can leave a dead spot on the topside of your chimney flashing, resulting in a leak. This type of leak is the most unique type of leak and tends to happen during more severe weather events. During a strong storm, rain may be accompanied by wind gusts. These wind gusts blow the shingles up and either break the matting of the shingles, or it bends/creases it, during the storm. Sometimes these leaks are easy to detect, because the missing shingles on the roof make it quite obvious. However, at times, shingles may raise during a wind storm and allow water to enter through a nail hole, or seam where parallel shingles meet. These leaks tend to happen for 1 of 2 reasons. First, the most common: improper installation. This means, the people who installed your roof originally did not nail on the shingle where they should have, allowing the shingle to bend during strong winds and either cause a leak, or break completely. The second reason these leaks tend to happen is due to a material defect, in the shingle. 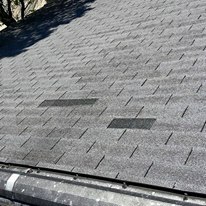 It is common, with certain shingle manufacturers, to have a defect in the production of certain shingle lines, from certain factories. 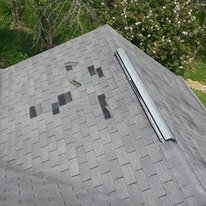 If this occurs within the first 10 years of the roof’s installation, I would recommend you file a claim with the shingle manufacturer for a defect. Otherwise, I would advise you to repair the problem if it is small, and save up for a new roof in the future. Maintenance of your roof goes a long way though folks. 2. When shingles break or blow off, it leaves the underlying nail fasteners exposed to rain and potential roof leaks. 3. 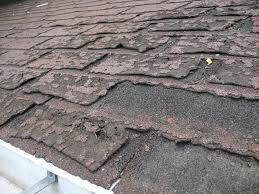 Older roofs and roofs made defectively, can lead to missing or deteriorated shingles that can be the cause of a roof leak. 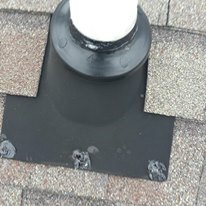 Every leak and every home are completely different, but experience with so many different types of leaks and homes is what sets us apart from all the other roofers in Lexington, KY. JM Roofing Group is one of the top rated roofing contractors in Central and Northern Kentucky for both roof repairs and roof replacements. So, whether it is one shingle to repair or a whole roof to be replaced, JM Roofing Group should be your first call to determine your roof leak common causes. Don’t wait until you get drenched with costly repairs, call JM Roofing Group today for a FREE roof assessment!